Good morning. My thanks to the Organizing Committee from Oman, and the WAHO Committee, for inviting me here today. Delegates, ladies and gentlemen, and friends that I have made over the past nearly 40 years in the Middle East. I am a fairly old-fashioned sort of person, so there are no slides or visuals, any time there is more than one button to press it confuses me! So you will have to put up with somewhat of a boring speech. However, I have produced some notes for the meeting, and I am told that they will be available for anyone who would like to have a copy afterwards.I have to stick fairly much to what is in the notes, because there are a lot of technical terms and I think the excellent simultaneous translators into the various languages want to be sure that they can follow what I am going to say. The title of the talk, as you can see, is to discuss Practical Feeding Methods, to reduce the incidence of colics and laminitis. I will be talking about the interactions of climate and nutrition, about metabolic disorders, and about feed production technology. You may not feel that they are related, but there are factors that bind these together. 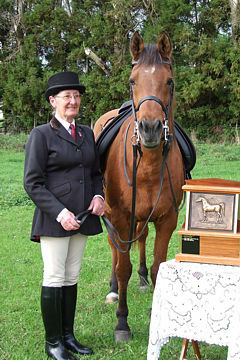 I have left out the senior horse because most feed companies today are very aware of the senior horse. The only thing I will say is that older horses are more prone to some of the metabolic disorders which will be covered in the talk. Of course it is very important to remember that as horses get older, it is similar to us humans as we get older, we don’t digest our food as well, we may need to have increased available protein in our rations, we need to probably have increased vitamin levels. But of course as owners of older horses you need to make sure that they undergo an annual clinical examination, and because their teeth wear out you have got to look at the type of feed you are using and the fact that you need to keep their teeth checked and in order. Feeding horses is a very big, very complicated subject. My talk today, which covers many aspects of safe equine feeds and applied feeding management, is made up from notes that I have written over the years, and discussed with various people. It is a little bit fractured and so some points may be missed, but there will be time at the end to ask questions. But I do hope that even though there will be a certain amount of repetition and you may find some of it a bit boring, most of you will look at new ways of trying to understand the reasons why we do have a proportion of horses that go down with colic and laminitis. As I said earlier, I am so grateful that I can talk on this subject because having spent nearly 40 years as a veterinarian in the Middle East, I have seen a lot of horses with these crippling problems. A little bit of personal history. I grew up in the countryside in Australia, where we used horses for cattle and sheep work, and when I was young we never saw colic or laminitis. All our horses had full time access to grazing, occasionally if they were in hard work they would have had some oats. When I went to University we saw a few more cases of colics, but there was very little laminitis in those days. 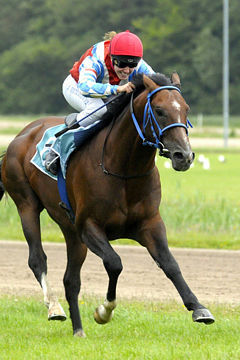 When I was in practice in Australia, we again saw occasional colics when horses were on hard feed but not much more. But when I came to the Middle East, I saw and treated a big percentage of horses, especially during the hot and sometimes humid summer months, that would go down with colics and laminitis. So one could see an emerging pattern of these horse problems. Just to give you a little background, I was in Iran in the middle 1970s and I helped Mary Gharagozlou do the initial bloodtyping and freeze branding of their Arabian horses; I was in Saudi Arabia for nearly 10 years at a time when Arabian racing was a big part of their horse activities, then I went to Qatar where not only was Arabian racing an important activity but I was also there when the first of the Arabian horse shows and endurance events were organized in the Middle East, so I was involved in a lot of that. Then I have been in Turkey for some years, where again Arabian racing is a big part of their equestrian industry, and I also spend some time each year now in India. I want to start off the first section of my talk, which is about nutrition and feeding, with one important fact. Feeds and feeding of horses is a very big, very complicated subject, but there are lots of myths, suspicion and superstition attached to it. And one of the first things I want to say, because I am talking about laminitis, I want to be sure that you understand that protein in a horse’s feed does not cause laminitis. This is a myth that has been, and still is, propagated by many people. I believe the problem is that when we talk about protein, many people are not aware about what we are talking about. And then when we turn round and say ‘protein is made up of chains of amino-acids’, people think, ‘well, just what are amino-acids?’. So I tend to explain this to people by saying that muscle is protein, bone matrix is protein, tendons and ligaments are protein, blood components, enzymes and hormones – and if you do not get certain amounts of protein in your rations you don’t get health, development and strength. But over-feeding protein only hurts the pocket, it certainly does not cause laminitis. Now to Basics and Research. As I said, there is a relationship between all the main headings of my talk. The science of nutrition is an ever changing subject, as research findings improve our understanding of some of the problems and as we learn more about equine metabolic physiology and about horses’ responses to different types of feeds and feeding management. The more recent understanding of endocrinology and other hormonal relationships to feed metabolism – and their interactions with some individual horse’s genetic predisposition to metabolic disorders – has been very helpful to improve our approach to both feeds and feeding management. As has the beginnings of a better understanding of interactions between the environment, which I will talk about later, and nutrition and climate and climatic stress, and how the physiological response to stress can affect the horse’s basic metabolism and its response to both feeds and feeding management. Although basic feed ingredients have remained much the same, there are important changes in feed production technology, which do have a role to play in preventing digestive disorders and their potential consequences of colic and laminitis. These recent research findings are more important because of the way owners now keep, use and manage their horses. Many owners tend not to be aware of the problems they can create for their horses, consequentially they do need this research guidance. Much of this feed-related understanding has come from research findings over the past 10 to 15 years. However, it does take some considerable time for information to filter down to both those who formulate prepared feeds and more particularly, to the owners and managers who feed horses. With this research we now see that nutritionists are telling us of better ways to analyze and describe feeds, so that we can decide which types of feeds may be more suitable for particular horses. We can see that carbohydrates are described today as structured or non-structured. We look at sugars or the fructans content of grasses, with further definitions of sugars as water soluble, ethanol soluble, and so on. Protein at last is being described not just as Crude Protein, but Digestible Bio-available Protein. Feeds will now list percentages of essential amino acids that we normally talk about like Lysine and Methionine, but also some of the less well understood, essential Branch Chain Amino Acids, which haven’t been much talked about before. Fibre can be described as fermentable fibre and we can analyze the soluble sugar content, or fructan levels in pasture and forage hays. In the future we will hear more about different fatty tissue derived “hormones” or cytokines as they call them, which are released from adipose or fat tissue, because some of these immuno-modulating adipokines play an important part in metabolic disorders. There will be more information about how they interact with feeds, appetite, metabolism and digestion. Since these “hormones” will be manufactured at higher levels in fat overfed horses, they can influence the susceptibility of obese horses to laminitis. The harmful effects of prolonged stress, especially climatic stress with its concurrent production of excessive stress hormones, endogenous cortisol and Neuropeptide Y, on the horses immune system and thus its increased susceptibility to laminitic episodes, is becoming better understood. And, there will also be future talk of special protective chemicals that respond to stress in a cell – molecular chaperones that “tidy up” damaged proteins in cells. But there are also some problems arising from the variations in the advice being given to owners. 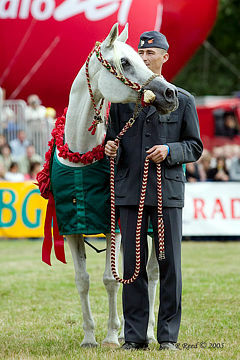 Many academic nutritionists tend to look at all the research findings and give advice, but rarely actually look at the horses themselves and the results of what has been recommended, recommendations for the widely varied, but sometimes quite un-natural conditions, climates and management systems under which today’s horses are kept. And unfortunately, owners are not aware that some of the problems that they see, such as colics and laminitis, will often be the result of non suitable feeds and/or poor feeding management. In many instances, completely different local conditions are perceived as being normal requirements for feeding and management. Recommendations, as advised by Feed Companies, Nutritionists and visiting Farm Management Consultants, who are mostly working in and with very different conditions, thus extrapolating perceived nutritional requirements. This is seen particularly in countries which have much higher environmental temperature conditions, but especially of heat and humidity, where climatic stress plays a big part in what suitable feed formulations and feeding management, should in fact, be. The temperate regions of Europe and North America are where most of the nutritional research is carried out and from where nutritional recommendations are made down the line. As a result, many Feed Companies don’t understand and address the problems of important climate/nutrition interactions, both in feed formulation and production technology. It is important to be aware of this situation if one is breeding and working horses, more especially in the Middle East and other tropical and sub-tropical regions. And I understand that I am talking to WAHO people from all over the world, so it’s not only to do with hot and humid climates. But I do think a lot more research needs to be done in some of the other areas which are now very important regions for the breeding and using of Arabian horses. This talk is not so much about the science of feeding horses and any of the academically controversial topics. So let’s look at the practicalities of feed and feeding. 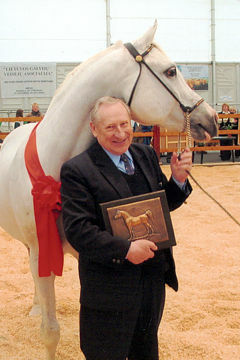 I am a very practical person and having spent many years in the Middle East I feel that through close observation I have managed to change the way horses were being fed, and by instituting safe practical feeds and feeding management guidelines managed to dramatically reduce the cases of colics and laminitis. My talk is therefore more about the way feeds and feeding can be changed to help reduce some of the problems we see – especially the colics and laminitis. I feel we now have a better understanding of their triggering mechanisms. The first thing I want to talk about and discuss – and which we all know – is the fact, that the basic equine gastro-intestinal anatomy and physiology is somewhat different to other animals. And, they do have trouble in adapting to modern feeding practices. The metabolic susceptibility and syndromes of some Arabian horses is something which will be discussed later, together with environmental stresses and nutritional interactions. First of all, one must ask why we are talking about Arabian horses? Well, this is of course the World Arabian Horse Organization Conference. But, is the Arabian a different species of equus? 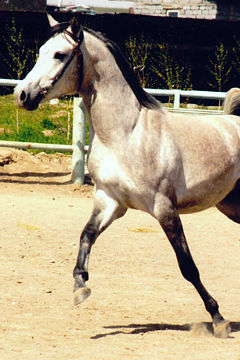 No, the Arabian is not a different equus species, but maybe through the development of this breed and selection practices, some types may have a different physiological make-up and nutritional metabolism and it may have some specific variations in its metabolic ability to process feeds in the way we manage, feed and use Arabian horses today. Why? 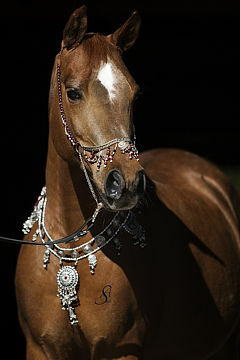 Because of how this horse type, the Arabian, has evolved. All breeds of horses initially adapted to survive in harsher environments. This is very much the same as human populations and we see today that more and more humans are suffering from metabolic or diabetic syndromes, because we used to work harder and were on a restricted diet and as we have changed our dietary ingredients, or refined the way people eat today, then we have more and more of these metabolic diabetic syndromes. And all horses are the same. They evolved in harsher environments and adapted via a continued exercise existence in search of often poor-quality grass and herbage, to meet demands of maintenance and the work required. They are trickle feeders, they need to eat little and often. As a result of all this, early horses became hardy and tough. The energy expended and the poorer quality feeds available, are not much seen in the horse’s modern day management, feeding and uses. But today we are looking at the specific progressive development of the Arabian horse in particular, not the evolution of the horse in general, in other words, how the basic Arabian type we see today, has been moulded by its environment. 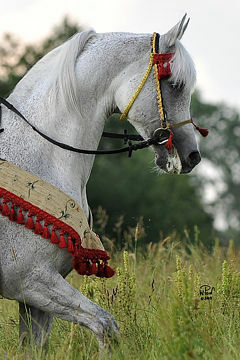 The Arabian horse, as it was first seen and described by visitors to its homelands in the area of Mesopotamia and the Nejd, populated by the Arabian peoples, is the result of thousands of generations of adaptation, development and change. 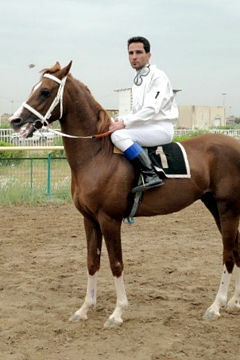 Progressive changes in type, from the horse of the plains of Central Asia, down through the Persian Plateau and into the Arabian Peninsula. These changes were brought about by its adaptation to the changing climatic and nutritional conditions. Picture the changing conditions in the past few thousand years – movement from a seasonally plentiful grass grazing area to a higher plateau with less feed – thus breeding a hardier type of horse – then to the much dryer and seasonally much hotter region of the Arabian Peninsula. 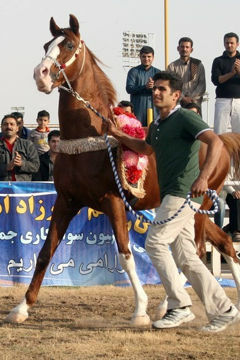 The Arabian horse became a relatively smaller but more efficient animal with lower basic feed maintenance requirements. It became more efficient at dissipating heat – a changing metabolism – by developing a body weight to surface area ratio and thus much more efficient at losing body heat. It had less starch (grain or seed) and protein in the diet leading to changes in muscle type – an increase in slow twitch muscle fibres and a horse expressing endurance capabilities. So the Arabian horse, which had adapted to and could thrive in these harsh conditions, became a very important equine partner of immense value to the peoples of those areas. 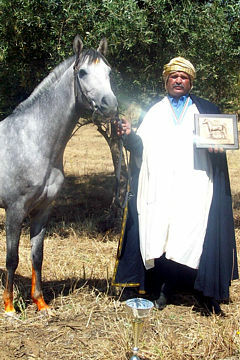 There has been some further fine-tuning by selections of the better horses by the original Bedouin horse breeders in that area, which set the Arabian breed – a breed of horse which bred true to type – as a relatively small but tough, strong and efficiently adaptable horse, useful for long distance riding, tribal skirmishes and warfare. But we do tend to find today, and this may be just an observation, that today’s Arabian horse in general and the inbred showing types in particular, tend to be more susceptible to metabolic disorders and thus more adversely affected by inappropriate nutrition and feeding programmes. But why is this evolution and development important to the topic of susceptibility to colic and laminitis? When evolutionary selection pressures are in certain directions, then undesirable conditions or traits will also arise when environmental conditions or feeding practices are changed. 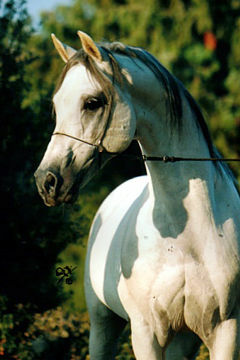 Of course the Arabian has been used extensively in the development of most of today’s popular performance horse breeds. So they too have special needs, but again from observations, not to the same degree. It is important to understand basic equine digestive anatomy. We know they have a small stomach and they have a fairly big fermentable area in the large bowel. Grains include Oats, Wheat, Barley and Corn (also known as Maize), have differences in starch molecules and in digestibility. Rapid eating – especially of whole grain feeds – or a minor change in feeding management – can lead to grain overload in the large bowel, then acidosis, endotoxaemia, colic and laminitis. When we feed whole grains, a big percentage passes through into the large bowel. As has been known from generations of observations, oats are a much safer grain for horses. This is because the starch molecules are more easily digestible and because it has a little more fibre in the husk. Carbohydrates from grain (starch) should be digested in the small intestine, but much goes through to the large intestine where it ferments, causing gas production, with painful distension/stretching of the bowel wall (colic) and acidosis – a change from normal gut pH. The acidosis results in a partial or complete destruction of normal, or clomensal gut digestive micro-organisms, but also an overgrowth of harmful bacteria in particular, which can thrive in an acidic environment. These non-normal gut bacteria release very powerful and harmful endotoxins, which are absorbed into the horses system by the compromised (distended) bowel wall. Even mild acidosis and endotoxaemias in horses under other stressful conditions – such as climatic stress and thus “metabolically on the edge” because of increased levels of endogenous cortisol – can go down with laminitis. So, when talking about colics related to grain based feed, I am talking here about Endotoxic Colics, plus Gaseous and Spasmodic Colics. These cause intestinal distension by gas and increased motility or gut spasm, which increases the chance for volvulus (twist), intussusceptions, and misplaced intestines (entrapments), together with absorption of endotoxins from the unnatural bacteria in a compromised bowel. I am not talking about sand colics, impaction colics or colics caused by tumours or anything like that. I am talking about the colics which are Endotoxic in origin and they are all related to the fact that you get a big percentage of undigested grain going through to the large bowel. If you feed whole oats, you will often see whole oats coming through in the droppings. This does not indicate a teeth problem, it means an overload of oats going into the large bowel, an acidosis with increased water coming into the acidic bowel, a more rapid evacuation of bowel contents and the typical, sour, soft watery faeces containing whole grain. If you grind up your feed, you may not see whole grains, but the large intestinal contents and the faeces will be quite acidic and sour, so you are in fact, still getting the same problem. So these colics are all related to the type of whole grains which are fed. Over the years I have noticed that if you use processed grains, where you have changed the starch molecule by cooking or extruding or micronising, then you have less of these colics because you are getting more and more of your starch digested in the small intestine – where it should be digested – and it doesn’t get through to the large bowel to cause acidosis. But why don’t all horses fed on grain get colics and laminitis? This is because horses do become accustomed to the particular grain they are being fed, and to routine feeding, in other words the timing and amounts of grain fed. I know in Australia, where I come from, in the countryside we sometimes had to change our type of grain. We might be drought-feeding sheep and if we changed from a hard to a softer sort of grain, then our sheep, although well accustomed to grain, would get ‘grain-sickness’. It’s the same with horses. They become quite accustomed to being fed on a certain type of grain and will do quite well, but they are always, as we will discuss a little later, on the edge of having a colic episode if other things are changed – and especially if they continue to be fed on unprocessed grains. So, many horses fed on whole grains will at various times get colic and/or laminitic episodes. Such episodes are far more likely if other concurrent stress conditions are involved. I should mention that fermented grains, for example soaked barley, can lead to problems. And, acidosis can also result from grazing lush pastures, or re-growth of stressed pastures during times of drought or frost, which changes the level of sugars/fructans in grasses and hays. So grazing management is also important in preventing laminitis. More on that later. On the other hand, it is beneficial to feed hay first before a grain based feed. This aimed at preventing “bolting” of the concentrate feed by a hungry horse, in other words eating really fast – and thus a grain “over-load” into the large bowel. If whole grains must be fed, then give smaller amounts and at more frequent intervals. With any whole-grain feeding programme, sometimes only a little change in the amount fed, or grain type being used, can lead to colic and resulting endotoxaemias. One important cause of such problems is by using feed that is ground up. The more finely ground it is, the greater the surface area exposed to bowel enzymes, and the more digestive upsets you will get. Especially rapid fermentation and initial gas colics. Just as a note, pelleted feeds are in fact a finely ground, non-processed feed – each pellet must reflect what the total feed analysis represents – that is, a finely ground, reconstituted pellet. Digestive disorders and colics can be related to the use of pelleted feeds. Avoid changes from whole grains to finely ground grains. Any routine changes of grains fed must be monitored. If you need to increase the amount of feed, do so gradually. Avoid giving feeds which have been soaked in hot weather, as they will be fermented. Feed sufficient fibre such as hay, to prevent hungry horses bolting their feed. Even if feeding oats, be aware of the different varieties and types and make any changes gradually. Introduce new sources of any grains – and new batches of commercially prepared feeds – slowly, by initial mixing with the previous batch. Of course, you could get away with feeding only hay if necessary, and you could do it that way. But don’t feed excessive amounts of dry hay with little available water or you will end up with impaction colics. But what can we do for colic prevention, when you really have to feed grain? You may decide to change your concentrate feed to a low-carbohydrate, low glycaemic index ration, and we will talk a bit more about that later. You can also try to reduce the amount of grain you feed. To meet energy requirements, you can increase the oil and fermentable fibre content, and/or use other low glycaemic index energy feeds. This leads me on to feed production technology. Processing grain changes the starch molecule structure. You – or more likely, the feed production company – can cook, toast, micronise or extrude it. And we are finding that with the extrusion technique, where the grains are cooked rapidly in high temperatures and under pressure, without destroying important feed ingredients, this gives a type of starch molecule which is much more easily digested in the small bowel and thus doesn’t pass into the large bowel to ferment and cause all the problems indicated earlier. This extrusion technology currently appears to produce feeds which are the safer option. It’s also worth remembering for horses with metabolic disorders, that cooked or processed feeds have a lower glycaemic index, especially extruded feeds. Also, oils and fat, processed grains and fibre have low glycaemic indices. I’d just like to make another feeding point here. When you get acidosis, the discomfort can of course make horses quite sour-tempered and unpredictable. And although, as I emphasized at the start of my talk, feeding protein does not cause colics or laminitis, all the same if too much unprocessed protein passes through to the large intestine, where it also ferments, producing ammonia, this leads to increased blood ammonia levels. This often causes “fizzy”, unpredictable behavioural problems in the horse. Which are all best avoided with today’s less experienced horse people and riders! To reduce the effects of acidosis and improve digestibility other preventive measures, or feed additives that can be considered, are Probiotics and Protected Sodium Bicarbonate. But the more simple, less costly option is to change to extruded feeds. So, to summarize this section: being more aware of and careful both about feed types and feeding management practices, and by keeping all types of stress conditions to a minimum, can help reduce the incidence of both endotoxic colics and thus laminitis. I will now try to answer the question as to why colic is related to Laminitis. Laminitis, as you all know, is an extremely painful and often fatal condition affecting the hooves. The actual word laminitis means inflammation of the sensitive laminae, these laminae are the structures that hold the pedal bone in place inside the foot. As I said previously, laminitic episodes can occur because of endotoxins, that is to say toxins released by dead bacteria or other harmful non-clomensal micro-organisms from the acidic, compromised bowel, which are absorbed from the bowel lining into the circulating blood, where they cause inflammation, severe pain and destruction of the sensitive supporting structures of the hoof laminar tissues, causing a loss in function. There are other causes, such as concussion or following uterine infections after foaling, or if a horse has one injured leg and has to bear more weight on the others. Laminitis is one of the biggest killers of horses, world-wide, and there is currently a lot of new work being done by researchers in various countries into what the triggering factors are for an episode of laminitis. Early symptoms of laminitis which you should look out for include stiffness and a shortened stride, lameness which is most commonly in the front feet, but not necessarily both of them, standing on the heels, reluctance to move, heat in the feet and increased fetlock pulse. But today we are talking about the feed-induced causes, and we certainly know that giving horses large amounts of starch or glucose will lead to laminitis. I think the fact is that if you get any of these endotoxins crossing the bowel, and especially if your horse is already under stress, or ‘on the edge’, then over they go; and varying degrees of a laminitic episode will occur. In the more rapidly developing cases, unless treatment is timely and the horse’s bony column supported, the whole hoof support system breaks down and we have a very serious condition which we call founder, or rotation and/or sinking of the pedal bone. There is another factor to consider, and that is which horses are predisposed to colics and laminitis. As I will mention later, in horses which are predisposed to, or suffering from, clinical or subclinical metabolic disorders such as Cushing’s Disease or, Insulin Resistance and those under stress with high levels of endogenous cortisol, laminitis will often be the first sign of a problem. I now want to discuss Stress Factors & Endogenous Cortisol. The other most important aspect of horses’ susceptibility to endotoxic colics and laminitis is the stress factors and the hormonal response to them. Anytime you take a horse out of its natural environment, it is put in a stressful situation. There are two major kinds of stress: training or work stress, and environmental or climatic stress. As you all know, a certain amount of stress is very important during training because exposure to increasing stressful stimuli, applied judiciously, induces a period of resistance, which involves adrenal hyperplasia and increased production of adreno-cortical hormones – again like climatic and other stress hormones, which I’ll discuss shortly, including their relationship to colics and laminitis – these are endogenous cortisols, as part of a hormonal adaptive response, which can then result in optimum performance. Good training programmes include judicious use of increasing work or training effort – in other words gradually increasing the stress on the horse’s systems. But again, that must follow a relatively long period of sequential slower work so that there is an adaptation, conditioning or strengthening of the musculo-skeletal systems, so that they can withstand the forces of galloping at speed, or for prolonged endurance efforts. 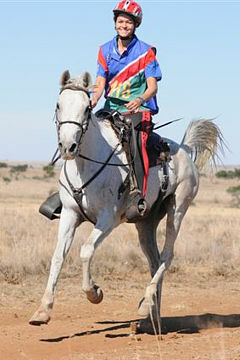 This is because we don’t want to break the horse down by forcing them to do fast or prolonged work before they are physically prepared and ready for it, so the final phase of getting a horse race or endurance fit is by stressing all the other systems towards peak fitness for a particular endeavour. An occasional burst of stress or low levels of repetitive stress can in fact be very protective. But by over-stressing a horse through over-training, over-racing, or particularly for many Arabian horses by competing in multiple endurance events without a recovery period in between, this will surely lead to a reduction in performance at the very least. The prolonged increase in endogenous cortisol levels begin to destroy the horse’s overall health and metabolic systems and thus performance. Some people say the horse has “trained-off”. Many horse trainers, who like to make excuses, call this the “virus” – and because over-stressing with prolonged excessive cortisol production destroys the protective immune system, then horses will indeed be more susceptible to the many viruses which are around in the stable environment. And similarly with an over worked or stressed breeding stallion, although it will vary from horse to horse, but say 3 & 5 covers a day can make them susceptible. A similar story is seen in over-worked or over-stressed humans and even top-class athletes – we get ill, we get the flu, we succumb to either a virus in the environment, or to a latent virus which we have been carrying around for some time but which was kept in check by our previously efficient immune system. Environmental climatic stress is a different problem. 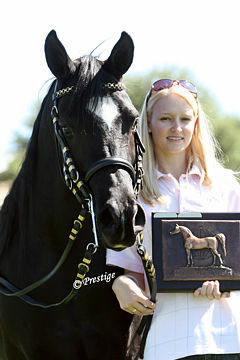 We know that horses have been found to be very adaptable to various climatic conditions. Horses can do well in both freezing and hot climatic situations, they even do well enough to work under tropical conditions. 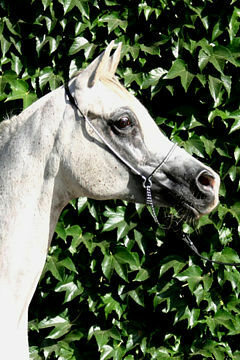 But climatic stress, especially enduring prolonged hot and humid conditions, does have a direct relationship to a horse’s susceptibility to colics and laminitis – and thus to improper nutrition and management practices – because it also causes the release of endogenous cortisol, often at much higher and prolonged levels, in an attempt to try and protect the animal. So combined climatic and training stresses, because of their multiplied effect on endogenous cortisol production, must be very carefully managed to reduce the chances of such severe consequences. All horses will vary in their physiological response to climatic stress. 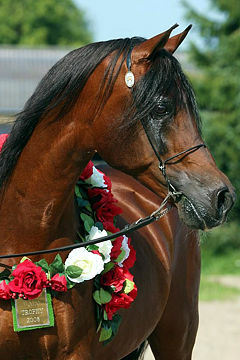 Some horses will cope well enough under judicious management strategies, but prolonged climatic stress will have an effect not only on the horse’s health and wellbeing, but also on growth and performance – which is a big negative factor in trying to grow performance horses to their full genetic athletic ability and soundness in hot, humid climates. During such times, one then must be more careful with training and performance stresses and a breeding stallion’s covering programme. And especially in severe hot, humid climates, or during periods of seasonal climatic changes, if the wrong types of feed and feeding management are also involved, then the horses will be much more susceptible to endotoxic colics and laminitis. We all know that sweating is the body’s means of thermo-regulation, or keeping cool. When we get hot, we sweat a little, and this gives a cooling effect as the sweat evaporates – in just the same way as a refrigerator works. But in a hot humid climate, where there is a lot of moisture in the atmosphere, you don’t have a significant evaporative cooling effect. In a hot dry climate, you never feel so uncomfortable. However, where there is heat plus humidity, the water content in the environment means that the evaporative effect, and thus cooling, can be negligible. As you will all know if you have travelled in a hot and humid country, you sweat and then you sweat more, and you can wring your clothes out, and you just don’t feel well. It is exactly the same for horses. In response to heat, and more particularly to hot humid conditions, horses sweat and transpire – an insensitive sweat/fluid loss – in an effort to keep cool. The horse’s system does not understand why the sweating process is not allowing any real cooling effect, so it continues to sweat, and sweats excessively, and also breathes rapidly in an effort to lose heat via the lungs – what we call “The Puffs” or short, shallow breathing. 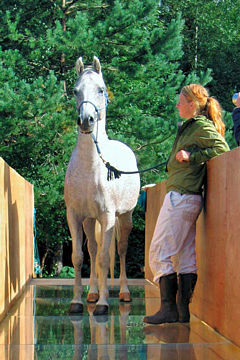 Just as we humans feel more comfortable if there is air-conditioning or even a fan in the room, it is worth noting that cooling is more efficient if air flow over the horse is enhanced, for example when stabled, so preventing some of these problems also comes down to good management practices. Why does this all matter so much? What happens is that when we sweat, and as you all know sweat tastes salty, we lose a lot of essential electrolytes, mainly sodium, potassium, magnesium and calcium – but also significant levels of B-group vitamins, and proteins. To maintain life, the electrolytes – sodium, potassium and calcium – must be maintained within very strict levels in the circulating blood plasma. If this gets out of synchronization, then you have got problems. One of the most typical ones that you may have seen, or understand, is that if you have a high-producing dairy cow that calves and suddenly produces a lot of milk, her blood calcium levels fall. Calcium is one of the electrolytes in the neuro-muscular junction that fires off the muscle function, and if the calcium level suddenly falls, then the cow can’t get up because there is no stimulus to fire up the neuro-muscular junction. With horses in hot and humid climates, you will get a certain percentage of horses which have heart-block and you will even have a dead horse if it is put under training pressures, because the heart is also a muscle and it needs these electrolytes in the system to function efficiently. But electrolyte imbalance in working horses in general, during hot and hot humid conditions, also causes a loss in performance. 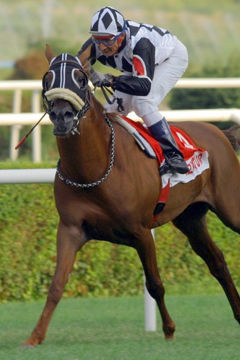 In horses, up to 100 grams of calcium can be lost daily in the sweat, meaning that bones can be rapidly de-mineralized, resulting in reduced inertial bone strength and increased likelihood of bone fatigue failures – micro-stress fractures, bone chips and more serious, often fatal bone fractures, during training and racing. So to maintain life and prevent injury, we must maintain our electrolytes within very strict limits in the circulating blood plasma. But if our animals are not getting enough electrolytes in their feed, they must have a protective mechanism. As a normal response to stress, cortisol is produced as this protective mechanism. What happens is the adrenal gland gets called on to produce endogenous – which means ‘produced by the body’ – cortisol, in an effort to maintain electrolytes within these strict levels in circulating blood plasma. With prolonged climatic stress, or a combination of training and climatic stress, and prior to adrenal exhaustion, damaging levels of endogenous cortisol build up. These increased levels of endogenous cortisol instruct the kidneys to conserve further electrolyte loss by reducing excretion of some electrolytes, mainly sodium and potassium. Further, in horses not receiving adequate levels of available calcium in the diet, cortisol also corrects blood calcium levels by reabsorbtion and uptake of calcium from bone. So, you have this catabolic effect of cortisol production. You have probably all heard about anabolic steroid use in both humans and horses. Put simplistically, anabolism is the building up of complex molecules, while catabolism is their breakdown. To build molecules and sustain life, the body needs energy, which it gets from the breakdown of nutrients. For molecular construction to occur, molecular destruction must go on at the same time to release the energy required to drive the biochemical reactions. When anabolism exceeds catabolism, net growth occurs, when catabolism excesses anabolism net losses occur. And it is this catabolic mechanism that we are talking about now, where you are getting breakdowns of tissues. Equally importantly, cortisol also has an immuno-suppression effect, which means that it compromises the body’s immune system, which lowers the body’s resistance to both endotoxaemias and infections. It appears then, that with the body’s lowered resistance state, any endotoxins released because of digestive disorders will have an exacerbated effect. Possibly Neuropeptine Y, also released in response to stress, may have an effect – this role is currently being looked at by researchers. The reason this causes laminitis is that prolonged high cortisol levels means that the horse will be more susceptible to chemicals which can change or weaken hoof laminar tissues. Cortisol is also a catabolic agent which will weaken all structural tissues. So horses that are in hot or hot and humid climates, that are suffering climatic stress and increased stress if they are also under training, are always on the edge of getting laminitis if they have a whole grain feed-induced endotoxic colic. So these laminitic episodes are related to the use of inappropriate feeds and poor feeding and exercise management. 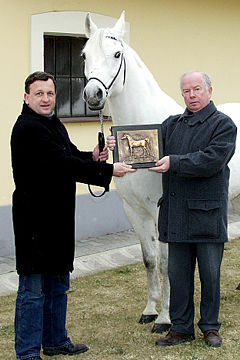 For example if you suddenly give the horse more work, or if you change its feed, or especially if you are feeding whole grains so that you have got an acidosis and endotoxaemia developing in the intestines, then the horse’s whole system breaks down, and it is teetering on the edge – it goes down with laminitis. 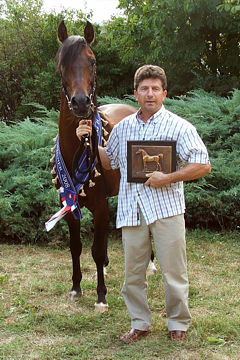 To repeat, growing tough, sound equine athletes in hot humid climates is a further big story. 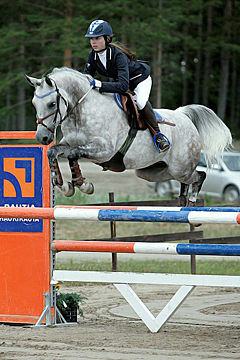 Cortisol, since it is a catabolic agent, creates a problem for performance horses. Continued excessive endogenous cortisol production, as well as increasing susceptibility to laminitis, also has a prolonged catabolic effect with serious consequences for equine athletes and for young growing developing horses. These include: Reduced, or poor growth and development; Reduced muscle tone, resulting in muscle weakness and reduced muscle mass; Reduced bone density and de-mineralized, weak, brittle bones; Reduced tendon and ligament strength; Reduced blood protein components and essential, normal hormone production; Plus an impaired immune system and susceptibility to other infectious diseases. But, how do we know if our horses are suffering from climatic stress and high cortisol levels? You don’t see anything specific to start with, but clinical observations show us that in horses which are suffering serious effects of climatic stress, for example those living in non air conditioned stables during prolonged hot and hot, humid summer months, they can show typical symptoms of a Cushing Type Syndrome, such as weight loss, reduced muscle tone, dehydrated with a rough coat and bilateral hair loss especially around the face, plus possibly anhydrosis or the inability to sweat, and the “puffs” (rapid shallow breathing). And, similar symptoms are seen, except probably bilateral hair loss, even where there are shorter periods of unseasonal hot/humid climatic stress, in more temperate climates. There was quite an interesting study from a big veterinary practice in Sydney, Australia, some years ago, where a lot of this original understanding of climatic stress came into play. This practice was looking after thoroughbred horses being raised in the Philippines, and these horses never grew very well because it was hot and humid all year round. As you all know, horses raised in hot humid climates tend to be quite small, and if they are not well fed they tend to have long sloping pasterns, a weak skeletal structure and very narrow chests, in other words, they are not good equine athletes. So the veterinarians were assessing these horses and trying to change their feeding to see if they could improve their athletic qualities. 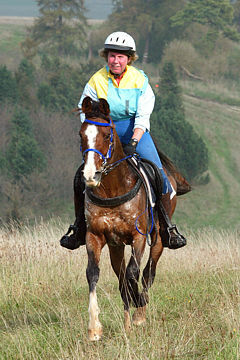 At the same time, a very observant vet in Sydney called Percy Sykes noticed that horses coming from New Zealand to race in Australia during our summer months – when they would leave quite temperate New Zealand and arrive in much hotter Sydney – showed high cortisol levels and then developed training problems that just didn’t respond to simple electrolytes and re-hydration to improve things. They actually needed a long rest before they regained their racing form. 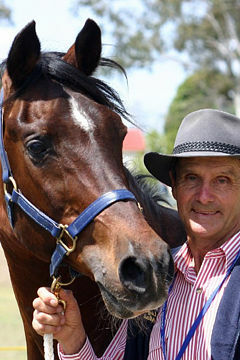 Mr. Sykes had also carried out a previous study on cortisol levels of horses in training in Sydney. To assess normal levels, about 1,400 horses were sampled, and their average summer cortisol levels were found to be nearly 100% higher than their winter averages. The other interesting thing was that the horses with successful trainers had lower levels than those from the trainers who had less success – in other words the successful ones had much better training programmes, kept their horses hydrated and well supplied with electrolytes. Their horses were well managed with judicious training programmes and thus, they had adapted well to the combined training and climatic stresses. As a result, they performed much better. On checking the cortisol levels in those horses in the Philippines, they were found to be excessively high nearly the whole year round, which was of course affecting both their ability to grow and to become athletic, sound performance horses. Laminitis is thus a somewhat common occurrence among unprotected or poorly managed and fed horses, especially in the hot and humid regions of the world. But also in other areas of elevated climatic stress, where any added stress factors will further increased endogenous cortisol levels. For example following surgery, especially when this is carried out in tropical and sub-tropical regions in the less modern veterinary hospitals which don’t have such good facilities for post-operative care, the sudden added increase in endogenous cortisol is the contributing cause of laminitis post surgery – and as a consequence, a reluctance on the part of veterinary surgeons to carry out prolonged complicated procedures in these areas. But another question is what tips this borderline balance? 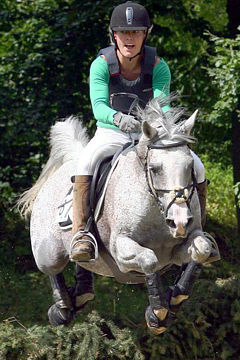 Even with reduced levels of circulating endogenous cortisol in response to mild climatic stress, the horse can be on the “edge” of an endotoxic laminitic episode, and therefore prone to any triggering mechanisms, caused by any other minor changes in diet or exercise, which will tip this border-line balance. And, remember susceptible, Metabolic Syndrome Disease horses. Although energy levels will need to be reduced during periods of relative inactivity during hot summer climatic conditions; it must also be remembered that horses do still need energy to keep cool. However, one must feed “safe energy diets”, which I will come on to in a moment, but no whole or unprocessed grains should be fed during periods of climatic stress. It goes without saying that a constant supply of clean fresh water is always a vital necessity, and salt and added electrolytes are also essential in times of hot, or hot and humid weather conditions. Now I’d just like to make an important point about the often inappropriate use of injectible cortisone and synthetic corticosteroids. These are catabolic agents which can weaken body tissues, especially support structures, as well as the immune system, so they have many undesirable metabolic side effects. And, similarly to increased levels of endogenous cortisone, they do increase the chance of laminitic episodes. Except for a very few rare medical problems, cortisone/corticosteroid use as a therapeutic agent is very questionable. They can have an anti-inflammatory effect, but they only mask and do not treat other important symptoms. They are certainly over-used by Vets in some countries as a “quick remedy”, or for a supposed glucocorticoid (glucose metabolism enhancement) and/or an anti-inflammatory performance-enhancing effect. It is very timely that their use is now being outlawed and tested for, at least in most racing countries. The ban will prevent many undesirable effects, including a percentage of bone chips, fractures and tendonitis, to mention a few. We also know that the cortisol levels will affect the horse’s immune system and make the horse much more susceptible to laminitis. Laminitis complications following corticosteroid use has led to litigation. And there have even been legal cases brought, where low-dose intra-articular injections of certain similar cortisones have tipped the balance and led to laminitis. So beware! This is another triggering factor that is involved in the susceptibility of horses to laminitis and related to the main theme. Moving on to Metabolic disorders, one sees the same situation with Equine Metabolic Syndromes (EMS). This is becoming relatively clearer, as we get to understand more about metabolic syndrome diseases in horses. We know that in horses with Cushing’s Disease – which is caused by a pituitary tumour that stimulates the adrenal gland to increase endogenous cortisol production – often the first thing seen is laminitis. The other metabolic disorders are quite complicated, but there is a lot more work being done and we now understand much more. It is similar to the human diabetic syndrome. There are quite a number of metabolic syndromes that affect horses. They are often described under different names/syndromes, such as: Cushing’s Disease, Peripheral Cushing Syndrome (PCS), Pituitary Pars Intermedia Dysfunction (PPID) and Insulin Resistance. But they all appear to increase the susceptibility to endotoxaemias and laminitis where inappropriate feeding and feeding management and stress conditions are present. For EMS, there are a number of diagnostic tests available. 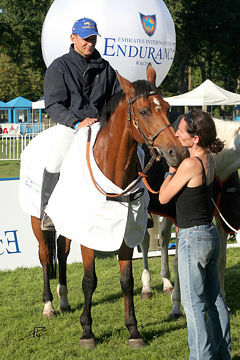 For example, the Dexamethasone Suppression Test is still current, although this test in itself can induce or worsen laminitis so most clinicians now prefer to measure endogenous ACTH, cortisol, insulin and glucose from venous blood samples, which does not run the same risk as injecting synthetic corticosteroids. There is also a new test that detects differences in pituitary peptides being trialed in California, to look at the horses which may be at risk of going down with these metabolic disorders. Just a quick word about insulin resistance. Insulin is a hormone secreted by the pancreas that regulates the uptake of glucose by the tissues after feeding. When insulin resistance occurs, the tissues fail to respond to insulin and, in the process, fail to use the glucose in the bloodstream, so blood sugar levels rise. Horses which suffer from, or are predisposed to the Metabolic Syndrome conditions, are prone to develop laminitis. Such horses require very careful management and feeding practices. Appropriate care and feeding will be more important with horses being managed during periods of climatic stress. Probably via interactions between insulin and cortisol and other hormones, the EMS Horses will be susceptible to feeds with a high glycaemic index such as whole grains, pasture and hay sugars. EMS horses are particularly susceptible to sugars in pasture grasses, so pastures should be checked for sugar or fructan levels and correct grazing management instituted. And they will be much more susceptible when they also have an increased endogenous cortisol production from stress conditions, because of its immuno-suppression effect as mentioned earlier. Peptide Y may also play a contributing part, since it is also released in response to stress and has an immuno-suppressant effect. It is worth noting that so-called ‘Easy keepers’, that is to say horses which do well and stay plump on limited feeding, will be an indicator that the horse has, or is predisposed to, EMS. Current research indicates that in fat horses, cytokines or “hormones” derived from fatty tissues, have effects which contribute to the development of laminitis. 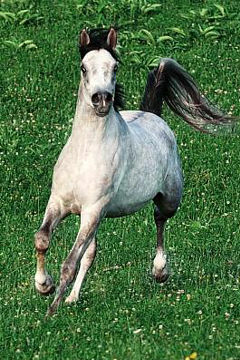 Obese horses produce more of these ‘adipokines’. Owners should be aware that one of the clinical signs of potential metabolic syndrome is when horses show abnormal fat accumulations, such as on the crest, shoulders and either side of the tail on the croup. Fat horses are susceptible to Metabolic Syndromes, so if your horse is fat, you need to develop a slow but steady weight management strategy. Some horses will be difficult to get the weight off, but by using controlled diet and controlled exercise you can maintain a correct, safe body weight – although you must avoid sudden exercise changes because this may tip the balance if there is added climatic stress. Some fat horses will quickly respond to increased exercise and lower feed intake, some may need to go to a low carbohydrate diet. Where weight reduction is found to be difficult, it will be important to organize a close clinical examination with your veterinarian, who may need to take blood samples for analysis. Also, if you are in the position to have grooms or helpers with your horses, do take care to ensure they are clearly informed about your feeds and feeding management routines, so that they are aware and don’t make mistakes. Both genetics and diet are involved with EMS. Horses with EMS are like people with diabetes and, therefore, sugars must be avoided. To prevent laminitis in EMS Horses, the first step is to improve insulin sensitivity by reducing body fat, thus adequate exercise is essential. And again I will emphasize that the extruded, balanced feeds with very little free sugars offer a much safer alternative for these susceptible horses than traditional grain diets, or pelleted feeds. Remember that “safe” feeds can be inter-changed without catastrophic effects. Molasses in feed is a sugar and should be kept to a low level, or avoided altogether. Alternative palatability additives are Vinas Yeast, or Fenugreek in particular. Horses do seem to find fenugreek, which is a herb, very palatable. However, to avoid laminitis in EMS susceptible horses, feed palatability is not the important factor, but a low glycaemic index feed, or low carbohydrate diet, is. Close veterinary consultation is essential for diagnosis, especially for sub-clinical Cushing’s and potential EMS sufferers. Careful medical and nutritional advice concerning any horses likely to be at risk of developing metabolic syndromes is essential, so treatment of Cushing’s and EMS is best left to your consulting veterinarian. Likewise, treatment regimes and medications for clinical EMS is best left for the attending veterinarian. 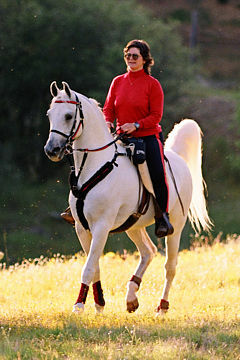 Going back to the Arabian horse specifically, as I mentioned before it does appear that this breed may be more susceptible to some of these metabolic disorders. Maybe it is because they may live somewhat longer than other breeds, or because they evolved in areas with harsh conditions and limited feeding and have a different basic metabolism make-up. 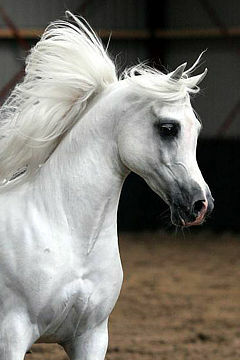 But observations have been that inbreeding for some of the Arabian showing types has caused increased genetic problems. We all know that if selection pressure is in one direction only, then you can have undesirable things coming up. We see in the Thoroughbred horse that where selection has been basically for speed, for the last 300 hundred years, we have inadvertently selected against fertility, we have selected against good strong bone, we have selected against good hoof tissue strength, and we have selected against an efficient upper airway which is an essential part of an efficient respiratory system for athletic performance. So we know if our selection process goes mainly in just one direction, we can have some undesirable things arising. Now, we have got to look at ways to prevent or overcome these problems, to prevent our horses from coming down with these devastating episodes of colics and laminitis. We can suggest feeding our horses nothing but hay and grass, but in many situations and countries this is simply not practical in this day and age. And even then we would have to look at both our hay and grazing to make sure that their sugar levels are lower. Actually, for those of you who do have access to grazing and forage hays, it is well worth having these analyzed, and there is a widely available and inexpensive test offered by many feed companies in most countries. Some grazing is safer than others. Horses evolved grazing poorer quality, low sugar, native pastures. Grasses grown in arid regions and possibly the more fibrous, rapidly growing tropical grasses, will also contain much less sugar and are safer for grazing by susceptible horses. Alfalfa (Lucerne) is also relatively low in sugar, so can be grazed with more confidence and used to make a safe hay. We know, say from Europe, that a lot of the pony breeds are very susceptible to laminitis when they graze improved pastures. These improved pastures were brought into vogue over the past hundred or more years, because we needed them for fattening cattle and sheep, and the higher the sugar or fructan content of the grasses, the better this was for our cattle and sheep. But when ponies graze these richer pastures, we have to remember the higher level of sugars. And also, this means we have to be careful about the sugar content of the hay from such pastures, if fed to susceptible horses and ponies. High fructan grass hays can be soaked in water to reduce the sugar content. But do be careful to discard the water in which the hay was soaking, as this will now have a high sugar content itself and horses do find it rather tempting if they can get access to it. As far as grazing pasture with laminitic susceptible horses is concerned, they either have to be kept off pasture altogether, or we have to limit their grazing. One way is to allow limited grazing in the early morning only, ideally from 3 am to 10 am when the sugar content of the grasses is lower because photosynthesis and plant sugar production has not occurred during the night. Or, we can use grazing muzzles to reduce intake, or some other aspect of daily management. We also know that when pasture has been damaged by frost or by drought, the new growth will have a far greater sugar content, so these are periods when extra grazing care should be taken. We can also usefully look at feed types & feed preparation. We have to move away from feeding finely ground up feeds, because the more finely you grind up horse feeds, the more digestive disorders you will get. And do not be fooled by the fact that you can grind up wheat, corn or barley and thus you won’t see any whole grains coming out in the faeces, because if you did a pH-level test on those faeces you would find they are still acidic. On the other hand, horses that are fed whole uncooked barley, or whole corn, or cracked corn, will also develop this acidosis and susceptibility to endotoxaemia potentially leading to colics and laminitis. So we need to make sure that we try to use extruded, micronised or cooked feeds, thus changing the structure of the starch molecules to get an efficient digestion in the small bowel. I know of some breeders in the Middle East who for many years have been feeding cooked barley to their horses. They have found that they have had fewer problems with the health of their horses by the simple daily routine of slowly boiling their barley in plenty of water and feeding it as soon as it has cooled down. A word of warning though – if it is left for any length of time in a hot climate, it will quickly ferment and then becomes dangerous to feed. We therefore have to look at feeding low glycaemic index feeds for EMS susceptible horses. By cooking the grain this lowers its glycaemic index. We have to look at low-carbohydrate feeds which, from research and availability, owners and breeders better understand today. We need to put more fat or oil into our feeds to make safer, high-energy feeds when needed during times work and performance, or of ability to adapt to climatic stress. And, we need to use fermentable fibre as part of our ration, because fermentable fibre is a safe feed for any horses, but especially those which are suffering from climatic stress, or which are susceptible to the type of metabolic disorders that affect them. We will probably understand far more about some of these metabolic disorders in the next few years and your attending vets will have more tests available to determine which horses may be susceptible. Now an important note on breeding stallions. One continually reads or hears about breeding stallions, often famous thoroughbreds, but also Arabians, going down with laminitis. This is followed by periodic reports about how “progress” to treatment is being made and then ultimately, a sad and final notice – another breeding stallion is dead. Why breeding stallions? 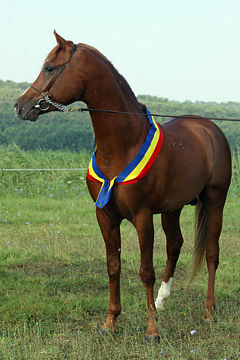 Because breeding stallions have a relatively greater body weight and especially, the mature breeding stallion. Relative to other horses, these stallions have a much greater body weight to hoof support ratio – or, a greater body weight relative to hoof base area. So they still have the same hoof support surface area as much lighter-weight horses. But because of the stallion’s greater body weight, this hoof structure will be more prone to failure if the vitally important hoof support tissues are compromised, by even mild laminitic challenges. In my opinion, breeding stallions should never be fed whole, unprocessed grains. Especially those Arabian stallions which may have a genetic predisposition to metabolic disorders, or those kept for breeding where environmental and/or climatic stresses can increase the chances of the consequences of acidosis and endotoxaemia. As indicated above, even mild endotoxaemias resulting from fermentation of any whole grain entering the large intestine will, on occasions, cause varying degrees of laminitic episodes. Mild laminitic episodes can translate to the mechanical inability of the laminar hoof capsule to efficiently bear body weight. Even mild endotoxic colics resulting in varying degrees of laminitis will compromise the hoof support structures of heavier breeding stallions. This can eventually result in a non-usable, crippled, or dead stallion. Use a safe feeding programme especially during periods of continued climatic stress. Prevent acidosis – don’t feed unprocessed grains, don’t graze lush, high sugar grasses or feed high fructans hay, again especially during times of added stresses. Use cooked processed feeds, extruded appear best. Give smaller amounts of feed more often and make sure there are no sudden dietary changes. Check your hay and pasture for sugars/fructans levels. Feed plenty of forage. If you can’t get hay, then use alternative fermentable fibres – a feed fibre of higher nutritional value. If you can’t get hay you can use Alfalfa Hay, Alfalfa Pellets; Soy Bean Hulls, Wheat Bran and Rice Bran – but be careful of mineral imbalances with brans, because these are low in calcium and high in phosphates. You could also safely use soaked Sugar Beet Pulp; Straw; Silage provided it is clean and the wrapping has absolutely no holes in it, and in some countries you can get specially made ‘haylage’ for horses. Minimize stress to reduce endogenous cortisol levels. 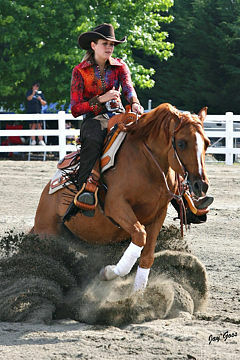 Allow time for horses to adapt to increasing training stimuli. Remember that young, uneducated horses and those recently introduced to a new climate and environment take longer to adapt. Keep training and environmental stresses to a minimum. Look for behaviour problems and carefully observe and correct the cause/s of any behavior problem/s. Good observant horse people do listen to what their horses are telling them. And remember your stable environment management. Air conditioners and evaporative coolers can be a good way to reduce the harmful accumulative effects of climatic stress in hot and hot/humid climates or during seasonal periods of increased humidity in more temperate climates. With global warming this will become an increasing challenge, where an increasing number of susceptible horses will be affected, if feeding and feeding/training/environmental managements, are not optimum. Arabians for showing will continue to be selected and bred for but do change their feed to extruded, safe feeds. You may make mistakes about feed input, but you will see far less colics and laminitis. Peter Pond: Thank you very much, Dr. Williamson, for such an informative and detailed talk. I am sure there will be some questions, so I will hand it over to the delegates. HRH Princess Alia Bint Hussein Al Saleh, Jordan: It’s actually more of a comment than a question. It is with reference to a very good point you made that the Arabian horse initially was originally developed and existed in areas with much less or different kinds of nutrition. And I think we are now suddenly expecting performance or show or whatever from them, and we are pumping them full of all these different kinds of food. They can actually subsist on much less and giving them all this additional rich food, OK they are tough horses and their systems cope with it, but as soon as there is any additional stress, such as if they don’t get exercised or over-worked or if they are expected to perform, or there is very hot or very cold weather, these are the things as you say that tip the balance. And then it comes out in the digestion as it does in human beings, and you get the physical and medical problems that are caused by this. And it’s really that we are actually dealing with horses that should be eating all the time, moving all the time, being kept out under natural conditions. But they are being kept in stables, given a small number of large meals at set times as opposed to being able to eat all the time or being given their feed little and often. So a lot of these problems are caused by management, and it is common sense. So I really think, in addition to all the high-tech things that we are doing, we need to just treat them much more naturally, leave them out much more. If they are getting the rich meals, fine, but let them have straw or something very basic that they can nibble on in between. That will really help their digestion and their physical system to cope with the unnatural things we are doing to them. I noticed what you said about some of the show horses being more susceptible, some families clearly are more susceptible to certain things such as laminitis or colic than others, but I also think it is quite obvious that with the show horses, for example, they are kept in, they are exercised less, they are under different types of stress. The people want them fat and pumped up all the time, and I think that is probably why we are seeing this, because these horses are kept in these more artificial conditions which will set off the things which are unhealthy for them and will cause the stress. And that’s why perhaps we are seeing so much more of these problems in the show horses specifically. Endurance horses are different, we feed them more but they also get out more, they are exercised more. I think a lot of the solution is really to treat them more naturally and use more common sense, basically. Dr. Ross Williamson: Yes, I certainly agree, Princess Alia, that is vitally important. And of course, one of the things I missed emphasizing in my talk was to say that to improve your insulin resistance you must ensure your horses get adequate exercise. Often this is the first way that you can manage to do this, just by reducing your total feed and turning them out more, or putting them on better exercise programmes. But of course some horses take some time to lose weight, especially these over-fat horses which produce these adipokines from their fat tissue, which makes them more susceptible. And of course there is a time-lag between reducing rations, increasing exercise and losing weight.